How the Whole World Became Chives – We help you think smartly about the crypto and blockchain landscape in Asia 5-10 years out. Tight regulations governing the financial markets and institutions in North America and Western Europe have been around for decades. Nonetheless, in the more recent years, the crypto market has introduced an entirely new, wild west. So, what does that mean? It means that for the first time that many people in the first-world countries experienced what it is like to be a chive. What is a chive? You may be asking. Chive is a vegetable, yes, and in Chinese it’s called “Jiu Cai” or 韭菜. but in this context, chives is also a name given by the Chinese people to victims who get trapped in a loop of speculative investments. “When it comes to planting, Chinese chives are total easy-breezy. They are fast-growing, drought-tolerant, and extremely vital; even after a long freeze, the plant will die only to return again come springtime. Thanks to nutrients stored inside the stem, after the top leaves are being cut away, the plant will keep growing and blooming into the next harvest. More directly speaking, chives refers to the Chinese people that participate in these speculative investments. They are resilient in their ongoing participation of these speculative investments, cycle after cycle. In most recent history, Chinese people went through a series of speculative investments cycles- from real estate, to p2p lending, and now in blockchain. The article from the Elephant Room details such cycles, it’s fascinating and I encourage everyone to check it out. You may have guessed, chives cutters refer to market manipulators that “cut” the chives, or take advantage of the speculators. It reflects an aspect of China where legislation lacks transparency and power is often over-concentrated to a few individuals. There is an article recently that uncovered the top chives cutters in China. The list ranked 5 individuals. One of them was a 26-year old girl who claimed she was raising money on behalf of a project and then ran away and disappeared with 30,000 ETH. Another was the FCoin founder, who previously argued that FCoin’s coin issuance model was an innovative way to ICO, but since then FCoin has dropped by 90% in market cap. And at the top of the list, sits Xu Xiao Ping, the Zhenfund founder and one of China’s most celebrated angel investors. The author then proceeds to share a photo of Xu along with some of the powerful and influential people in crypto- Huobi Exchange CEO, a well-known media personality named Wang Feng, and a top community organizer in China. The author notes the photo is from one of the frequent wine gatherings that Xu hosts. These aforementioned individuals have large influences on China’s investment institutions, Crypto communities, media, and exchanges, all of which are crucial for a Crypto project. In other words, these industry heavy hitters has control over the survival of a blockchain project. IOST was an example mentioned. IOST was funded by Zhenfund and Huobi, and then it was later listed on Huobi’s exchange. The token price rose sharply after trading began on January 15, and reached a record high of $0.12 three days later, compared to $0.01 at the time of crowdfunding, a ten-fold increase in three days. The token’s current price is $0.013, a 90% discount to historical peaks. The author mentioned that when initially funding the company, Xu likely knew about the background of the IOST team, which apparently was the same team that was also operating a cloud-based printing business. But he supported the IOST project nonetheless and made a profit of hundreds of millions of Chinese yuan with the project. The IOST team supposedly then transferred all the funds to the parent printing company. Honestly, I am not sure how accurate any of this information bashing IOST/Zhenfund is. But I think the anecdotes of these chive cutters and the attitude of the author are certainly representative of the fact that there are many different types of narratives of crypto funds and companies, but most Chinese participants are very cognizant of the fact that 1) they are part of the chives movement, and 2) they hope to make some money despite being a chive. Chinese people often refer to themselves as chives as a way of self-deprecation. Everyone takes it as a matter of factly because they have gone through cycles of speculations, and they anticipate that more speculation cycles will come. In fact, today, the Chinese people are not only acknowledging themselves as chives, but also mocking the nation as a “Chives State (韭州)”. Some smart person is trying to take this even further. The founder of INblockchain Li Xiaolai recently published a book translated into something to the effect of “The Self Cultivation of a Chive”. You can find the full book in PDF in Chinese on GlobalCoinResearch.com Presented as a market navigation and self-help tool in the Crypto space, Li dishes out some best practices in crypto in a 100-page book. Topics included how to best understand the market cycle, how to adjust one’s strategy given that the risk of crypto exceeds that of Chinese A-shares. He also advises one to trade less frequently and hold long term. The book was a way to raise awareness amongst individuals, but also a way to raise publicity for Li himself. So do you think you are a chive? When I mentioned to a Chinese VC that I will share the article about the Chive Cutters including the Zhenfund details to our English readers, he said that it would have reflected too harshly on Xu, given his and Zhenfund’s good reputation in the market. At that moment, it made me realize that what Xu allegedly did could be extremely frowned upon in the US. Citizens in tightly regulated countries are aware of basic market risks, but they were never exposed to large market volatility and large manipulations liken what we are seeing in the crypto market in the last few years. An equivalent important figure in the US committing an act like what Xu allegedly did would become a huge media coverage point and stir public discussion, because similar types of such issue historically do not happen in the US. This is primarily because given tighter regulations, 1) it’s far less common, or 2)actors are better at covering up, or likely a combination of the two. Millennials, or folks from Gen X and Y, have never been a target of others market manipulators to such an extent. Or rather, the way they’ve been “cut” historically, has been deeply subtle and hidden. Truth occasionally surfaces in the media, but usually, they are one-off cases and goes away quickly. But the truth is that, the Crypto space is different. Examples of what Xu has allegedly done is not limited to just China anymore. The fact that everyone, not just Chinese citizens, is a chive, should be an important self-realization. People in the US may not fully realize what that means. This may be the first time citizens in traditionally tightly regulated countries ever experience what it feels like to be chives. In the US crypto market, there are a number of funds and individuals that are chive cutters just like the Chinese counterparts, and often they are as prestigious as the equivalent of Zhenfund and other top funds in China. And frankly, this type of behavior is not just in crypto- I’m talking about public market equity funds as well. For example, even now public market funds sometimes put out research reports saying X company is great, subsequently driving up the stock prices of company X while owning short term and long term options. Ironically, they’d only disclose that they own long-term options, while omitting the short options that they also own so as to make a quick buck from the market reaction. Nevertheless, this is nothing compared to the type of bad actors in the Crypto world, where the magnitude of these market manipulation and volatility of what these funds drive is far larger. There is one instance I recall where one firm publically declared that they do not believe in EOS long term, but claims it’s a good “short-term buy”. Then they proceed to pump the hell out of the coin with lots of publicity. In the short term and long term, these funds’ voices become louder when they see how much impact they have on the market and how that directly translates to money. They take advantage of the market’s ignorance and leverage their influence. They are cutting chives just like the Chinese investors do. 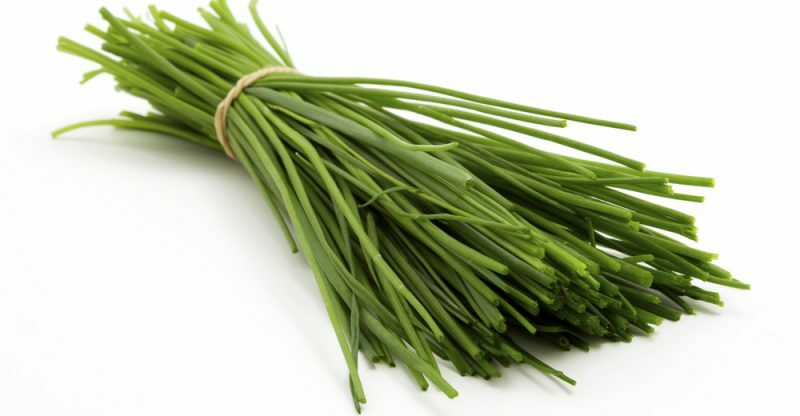 I do not believe the chives cutting market is over, that is, until we have substantial, tight regulations implemented across the world, which could take a year or more. I will continue to focus and support projects that are heads down working and making progress i.e. check out 0x’s V2 launch that was just announced yesterday. From GCR’s perspective, we will continue to offer products and services that support the industry long term. Here’s a secret- our next product release will be exactly that. If you’ve been heads down working on a project, be sure to let us know, we want to share some exciting things on what we are working with you.